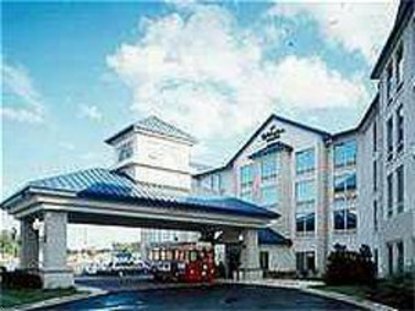 Welcome to the Holiday Inn Express Hotel & Suites-Chicago Midway Airport. Conveniently located just 2 blocks south of Chicago Midway Airport and only 8 miles from downtown Chicago, the hotel offers free 24 hr. airport shuttle to and from Midway Airport, free wireless high-speed Internet access, and our new free Smart Start breakfast. The Holiday Inn Express Hotel & Suites-Chicago Midway Airport is the perfect base to explore attractions such as Grant Park, the Art Institute of Chicago, Shedd Aquarium, the Brookfield Zoo, Toyota Park, and Soldier Field. Just 20 minutes will put you in the heart of the Magnificent Mile, the Midwest&regs premier shopping district. Our business travelers will love our hotel&regs proximity to Chicago Midway Airport, the Bedford Park Industrial Center, Tyson Foods, and Cintas. For meetings, the hotel's French Quarter Room can accommodate groups of up to 25 and dining options abound, with nearby TGI Friday&regs, Dempsey&regs Irish American Grill, Giordanno&regs Chicago Pizza, and coming soon Coaches Bar and Grill, &regWhere Winning Never Tasted This Good&reg This hotel is committed to providing accessible facilities under the American Disabilities Act. If your accessibility needs are not met, please contact the Hotel Manager on Duty. Should you require additional information regarding accessible facilities for guests with disabilities, please call 1-800-Holiday (U.S. and Canada) or contact the hotel directly. For the hearing impaired, TDD service is available at 1-800-238-5544 within the U.S. and Canada.